The race track is the place where the highest technology is used to gain advantages on your competition. 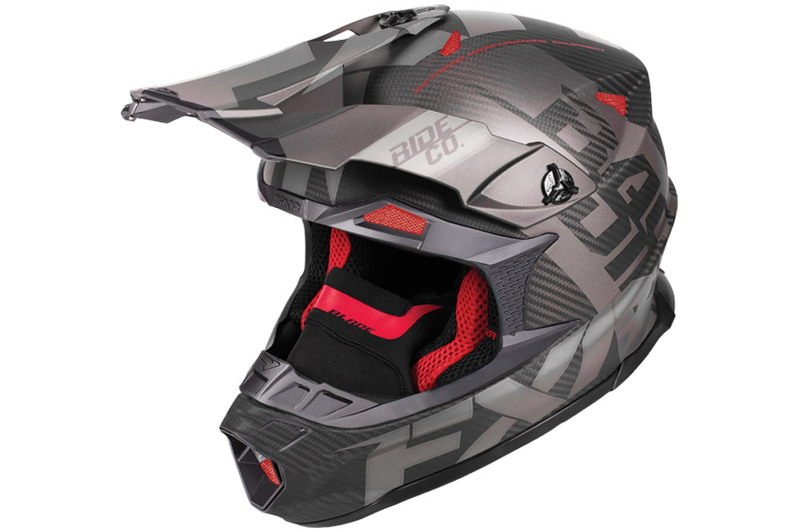 In the case of performance riders looking for the ultimate in lightweight protection we all agree FXR’s newest Blade Carbon helmet is victorious. In what is often sacrificed with other carbon helmets the new Blade Carbon helmet maintains a high degree of comfort with zonal and progressive density padding around your head and cheeks. The dual density EPS liner protects your head on large impacts and the rear diffuser has been tuned to better transfer load to compatible neck braces. The quick-release buckle is something we’ve all come to love, not only for its ease of use but also the convenience it provides when wearing thicker gloves. 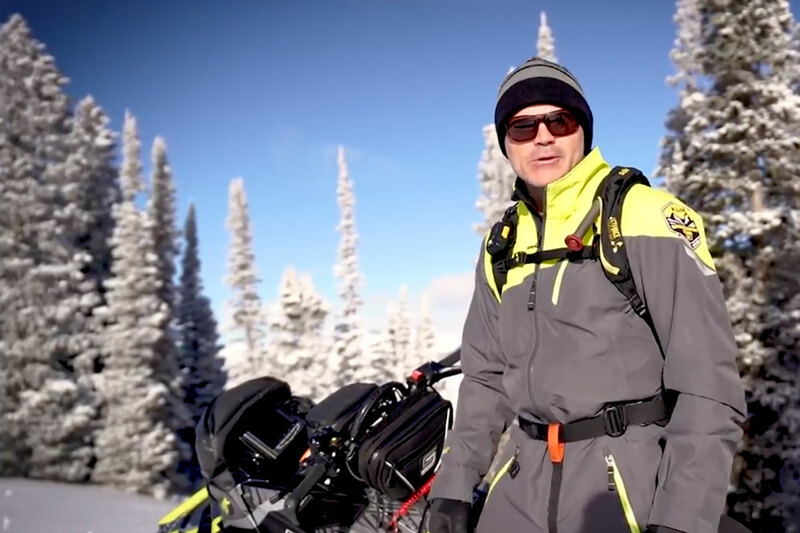 The hand laid 100% carbon fiber shell helmet weighed in at 2.5 lbs on our scale and the feel when wearing it can best be described as feather light. One of the areas often not appreciated enough is the peak. A soft rubber bumper is laid across the top peak for protection and durability and significant work went into the shape of the peak with ultra hi-flow cutouts that significantly reduce drag at high speeds while maintaining really good protection from snow and roost. The front nose also features and extended rubber guard for protection but still maintains plenty of room for goggles with nose peaks and larger breath guards should you choose to not use the supplied breath box.